One more card today…this time it’s for the CAS Challenge over at Splitcoast. We were given a sketch by the very talented Taylor. 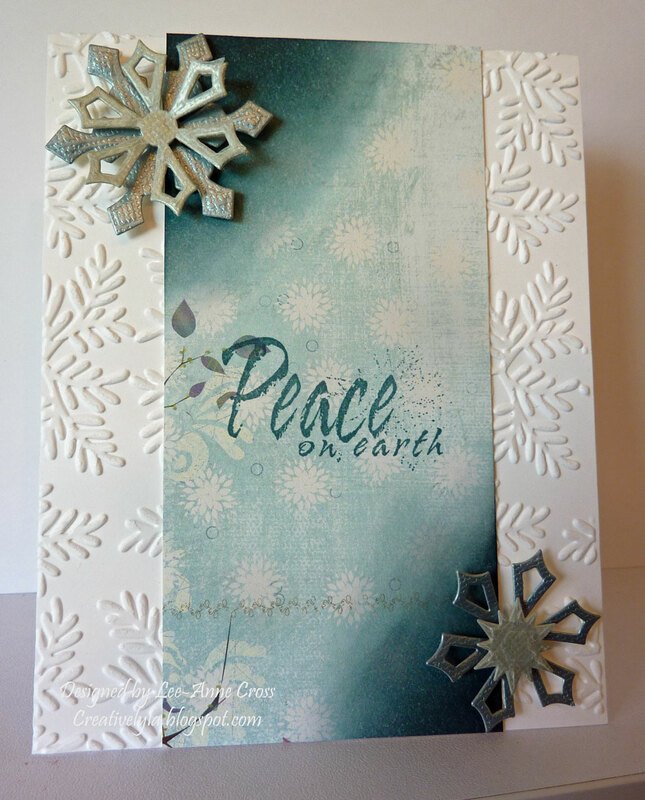 I’ve dry embossed the standard A2 card base with the Sizzix Triad Leaves embossing folder. That seems to be my “go to” embossing folder these days. Then I’ve taken a strip of designer paper and heavily sponged the corners and stamped the sentiment on middle of it. And finally added some die cut snowflakes in metallic papers. Easy peasy! Again…have a marvelous Monday, everyone! Next Next post: Hello Kitty!